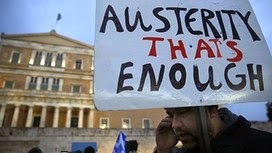 Although Friday’s deal to extend Athens’ EU bailout by another four months beyond this Saturday’s expiry date may have staved off a Greek bank run and sovereign bankruptcy, many of the most important issues affecting the country’s finances have yet to be agreed. That process begins on Monday, when bailout monitors review a list of economic reforms from the new Greek government intended to take the place of the “austerity” measures currently in the rescue programme. Some important things were agreed on Friday but most of them fell in line with demands made by a German-led group of creditor countries. What Greece won was what Yanis Varoufakis, Greek finance minister, termed “constructive ambiguity” on how tough the next phase of the programme would be. Here is a look at the big issues facing Athens, in order of those that were firmly agreed down to those still undecided.